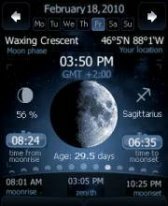 Deluxe Moon v1.23 freeware for Windows Mobile Phone. 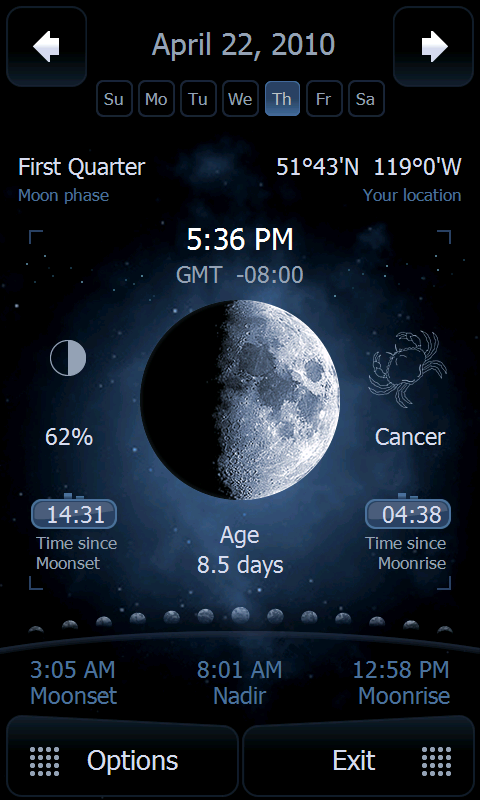 * Current moon�s age: how far along the moon is in its full cycle. 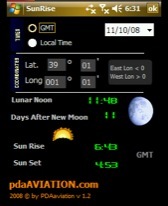 3D control: now you can change moon phases by sliding your finger on the moon. Added 24 and 12 hour time format option. Moon phases are shown as seen from the northern or southern hemisphere. Corrected manual location for southern hemisphere. Improved local languages support: now translated phrases can be longer. Added support for local languages via an xml file. cool software... any update link to use it? great app, works great on my htc hd2..
Great. It's the best interface I've seen in winmobile ever. I love this app. it looks great too. Days/dates do not match. What is the point of this anyway. Is it astronomy or astrology ? Astrology is a load of crap and it is not accurate enough for astronomers ! estacular!! marvelous interface theme.. ever! Nice program. 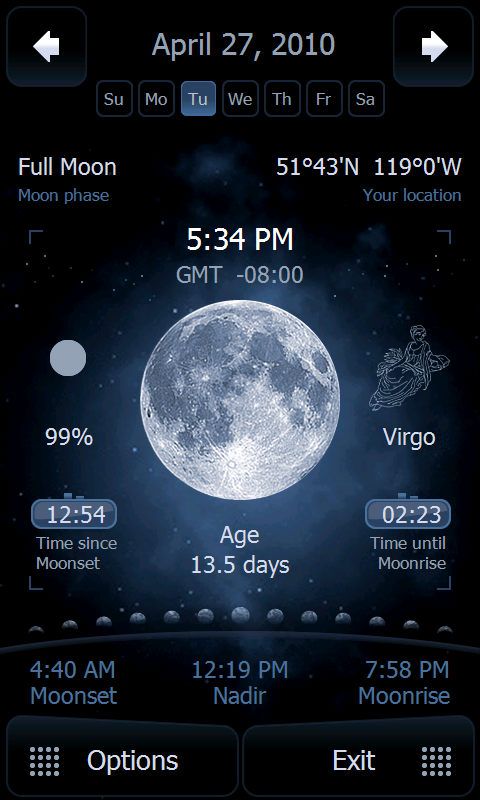 Now i now exactly when it's full moon where ever you are. This is definitely an awesome app.